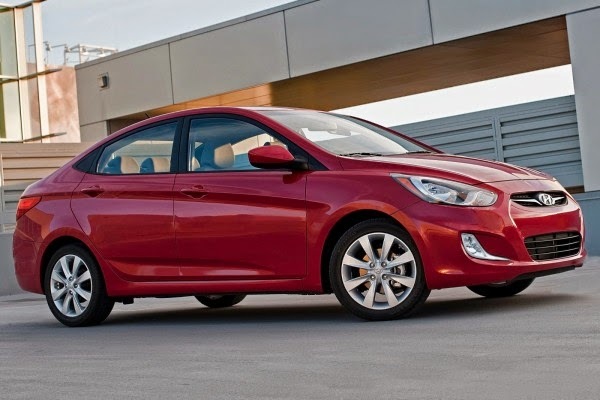 · The 2015 Hyundai Accent compact sedan and hatchback earned a four-star overall safety rating from the National Highway Traffic Safety Administration. · The 2015 Accent sedan and hatchback received four stars in the front, side and rollover crash tests. · Standard safety equipment on the 2015 Accent includes six airbags, electronic stability control, traction control and antilock brakes. WASHINGTON — The 2015 Hyundai Accent compact sedan and hatchback earned a four-star overall safety rating from the National Highway Traffic Safety Administration. Five stars is the highest rating. The 2015 Accent sedan and hatchback received four stars in the front, side and rollover crash tests. Standard safety equipment on the 2015 Accent includes six airbags, electronic stability control, traction control and antilock brakes. The 2015 Accent is expected to arrive at Hyundai dealerships later this fall. Pricing has not been announced. The 2015 Hyundai Veloster offers up the looks of a 2-door with the practicality of a 4-door. It pulls this off by literally offering both. The driver's side features a single long door, while the passenger's side has two smaller ones to let rear-seat passengers get in and out more easily. The good news is that this asymmetrical design doesn't make the Veloster look odd, in fact, its sporty hatchback shape is eye-grabbing for all the right reasons. It can back up its sporty looks, too, thanks to an available 201-horsepower turbocharged 4-cylinder engine. Best of all, the Veloster offers up plenty of features, style, fuel economy and performance at a price that seriously undercuts competitors like the Volkswagen Golf or Subaru WRX. The 2015 Hyundai Veloster targets sporty-minded buyers on a limited budget. If you have about $25,000 to spend, but don't want the same humdrum compacts you see coming and going, the slick looking Veloster could be the ticket. Even with the clever third door, the Hyundai Veloster isn't exactly a paragon of passenger hauling. If you regularly carry rear-seat passengers, or just have a big dog you like to take with you, you might be better served by something like a VW Golf or Ford Focus. After the introduction of a turbocharged model and the sharp-looking RE:FLEX model, the Veloster carries over with only a handful of changes. Automatic climate control is now part of the Technology package, and the Style package adds 18-inch wheels. Driving Impressions The 2015 Hyundai Veloster comes in two versions. First is the base model Veloster, which offers up a comfortable ride, very good fuel economy, and a low price, all wrapped in a sporty body. While fun-looking, the meager acceleration from the engine doesn't quite meet the expectations of the styling, nor does the handling. However, if you're looking for more of both, there's the Veloster Turbo. With a 201-horsepower turbocharged 4-cylinder engine connected to an available 6-speed manual transmission, the Turbo definitely ups the sporting ante. While not quite as much fun to drive as a Volkswagen GTI or Ford Focus ST, the Veloster Turbo holds its own, and does so at a price that undercuts those two by thousands. If shifting your own isn't your thing, there's a solid dual-clutch 6-speed automatic available. While we like the Veloster, we can't ignore shortcomings like the cramped interior and poor rearward visibility. The Veloster could've been all show and no go, which makes us appreciate the available turbocharged engine that much more. While definitely turning the Veloster R-Spec and Turbo into a GTI chaser, the added power doesn't come at the expense of fuel economy. The Veloster boasts an interior that manages to pack in a lot of features while still being easy to use. The controls are simple to use and easy to reach, with minimal touch-screen operations limited mostly to the navigation and audio functions. The Veloster's interior is as tasteful as it is high-tech. The 7-inch touch screen is the audio and, if so equipped, navigation command center. Up front are comfortable seats for average sized adults, although a tall driver will be short on headroom. That goes double for the cramped back seats, which are clearly meant for occasional use. Cargo space behind the rear seats is fine, and they fold down for even more. The Veloster RE:FLEX adds touches like piano-black accents and leather seats, making it the only non-Turbo Veloster available with leather. Turbos get red accents and R-Spec badges inside. The 2015 Hyundai Veloster stands out from the crowd thanks to its long and low profile, large wheel arches and a sloping roof. Turbo versions pump up the visual volume with a huge grille, standard fog lights, available red exterior accents, and larger twin tailpipes. The RE:FLEX model splits the difference, offering many of the Turbo's style touches, like LED accents in the headlights. However, all Veloster models share the most defining feature of this sporty hatchback, namely that passenger-side extra door. An available matte-gray paint requires buyers to sign a waiver explaining its special care, including hand washing. Like most Hyundais, the 2015 Veloster comes nicely equipped. There's the 7-inch multimedia touch screen that includes a rearview monitor, a 6-way driver seat with height adjustment and Internet radio-ready AM/FM/satellite/CD system with 196 watts and six speakers. Hyundai's Blue Link telematics system offers access service and infotainment features, parents looking to spoil their kids with a new car will be happy to know the Veloster can alert them if the car goes beyond a certain speed or designated perimeter. A 6-month trial is included, with a subscription offered thereafter. Options for the 2015 Veloster get bundled into Style and Technology packages. However, to get Technology you also have to get Style. The Style package adds a panoramic sunroof, 450-watt 8-speaker audio system and leatherette surfaces. To that, the Technology package adds a navigation system, proximity key and push-button start, backup warning sensors, automatic headlights, automatic climate control, and a convenient 115-volt outlet to power electronics. The RE:FLEX model adds many of the Style package elements, such as piano-black interior accents, plus leather seats. Veloster Turbo models offer just an Ultimate Package, bundling the sunroof, climate control and navigation. The standard 2015 Hyundai Veloster and the RE:FLEX model come with a 1.6-liter 4-cylinder engine with 138 horsepower. You won't win many races with this engine, although there is a bit of a surge in power at higher revs. However, if you're trying to stretch the time between visits to the pump, this little engine is just the ticket. If you want something to back up the Veloster's sporty looks, you'll definitely want the Turbo. With its twin-scroll turbocharged version of the same 1.6-liter 4-cylinder, the 201 horsepower is plenty powerful enough to move the lightweight Veloster with enthusiastic quickness. 2015 Hyundai Veloster prices are very reasonable. The base Veloster starts at $18,700, including destination, when you get the manual transmission. The 6-speed automatic adds $1,250. The RE:FLEX comes only with the automatic and starts at $22,600, while the Veloster R-Spec is the cheapest way to get a turbo at $22,300, or you can go with the Veloster Turbo for $23,300 – add $1,000 for the automatic transmission here. The Veloster's prices compare favorably with competitors like the Volkswagen Golf, GTI and Beetle, Honda CR-Z, Mini Cooper and Scion tC, undercutting them by hundreds or even thousands of dollars. Be sure and check the Kelley Blue Book Fair Purchase Price to see what others in your area are paying for the 2015 Hyundai Veloster. Resale values for the Veloster are expected to be good over a 5-year period, but not as high those for a Mini Cooper. The Hyundai Azera is a mid size sedan manufactured by the Korean brand and fits between the Hyundai Sonata and the Hyundai Genesis in its lineup. 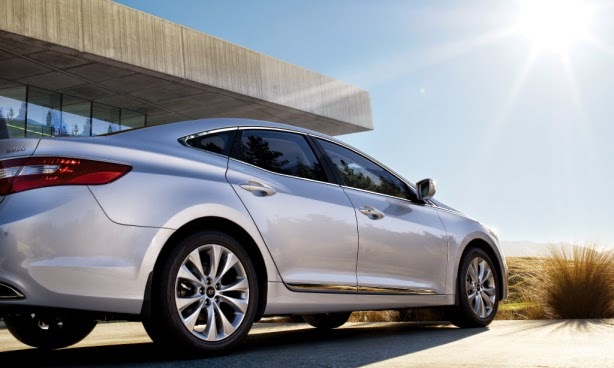 Currently in its fifth generation, the 2015 Hyundai Azera competes with the Toyota Avalon, Nissan Maxima and Chevrolet Impala. * One of the nicer models to have undergone the fluidic sculpture treatment. * Quality of materials is a big let down. 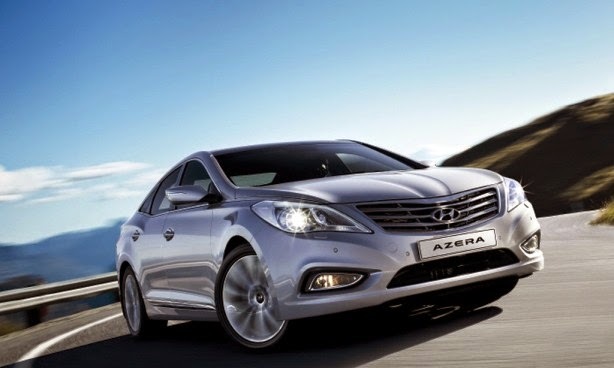 The fifth generation of the Azera follows Hyundai’s fluidic sculpture design philosophy and as a result, finally bears some resemblance to its siblings, the Genesis and Centennial. Upon first glance, the Azera is a striking car; a wide nose, neat rear end, and numerous lines running across the hood and sides contribute to that. 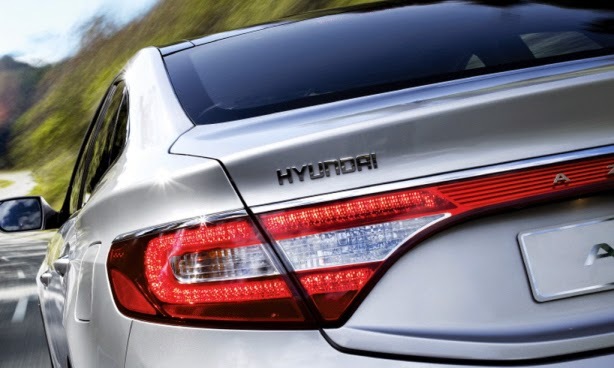 The use of chrome isn’t something Hyundai has skimped on in the design of the Azera, with the large grille up front, a thick chrome strip beginning at the headlights and continuing until the rear quarter panel, as well as another strip above the tail lights. Bling indeed! Open the door and the beige leather and piano black trim combination radiates a sense of luxury. To add to the premium feel, the Azera boasts embroidery on the seat backs and nameplates on the arm rests of each door. Teens, or anyone with a musical ear will be delighted to know the Azera is available with a banging 10 speaker Infinity sound system as well. The rear seats are an absolute treat as they are well cushioned and provide great support without being uncomfortable. However, the use of hard plastics on majority of the dashboard and door panels serve as a constant reminder that the Azera isn’t really a premium sedan. In terms of safety, the Azera packs in 9 airbags in total, including side curtain airbags and a driver’s knee airbag. Additionally, active head restraints are also present and are expected to reduce head and neck injury in a collision by up to 17%. The Azera is also equipped with an intelligent ECO button that modifies the engine and transmission controls to smoothen out the shift points and improve fuel economy. 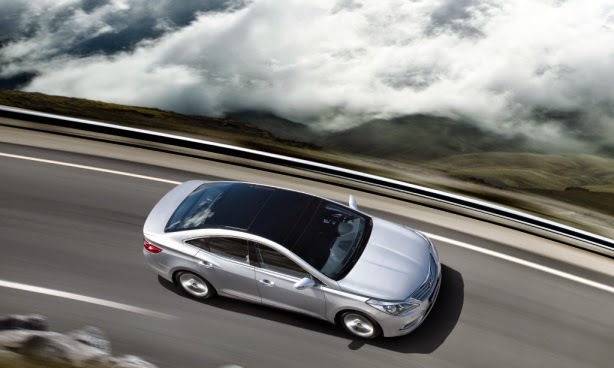 Having let go of the 2.4 litre 4-cylinder engine from its line-up, the 2015 Hyundai Azera is only available with a 3.0 litre V6 engine under its hood. But no one is complaining, for with 246 horsepower and 282 Nm of torque being directed through a 6 speed automatic transmission to the front wheels, there’s an adequate amount of power available at all times. With just one grade available, the Azera isn’t a car that will have potential buyers scratching their head for days and contemplating which variant to opt for; more importantly, for just AED 112,900, it really is a great option for those willing to look beyond its badge. How much would you pay for a Hyundai? Most people spend less than $30,000 to put one of the Korean company's compacts in their garage - an i20, Elantra or i30 - but things are changing fast. 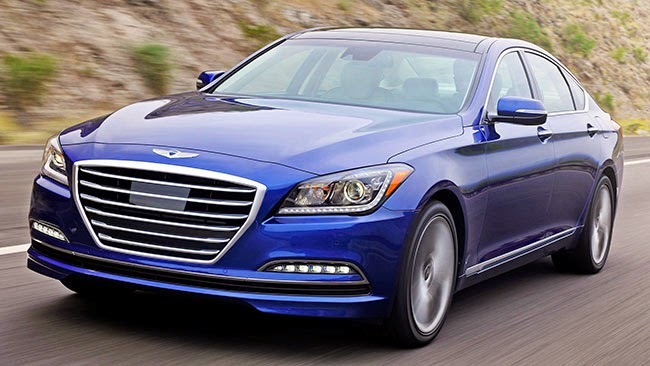 Hyundai is about to bring its full-luxury Genesis to showrooms and that means buyers will be spending about $60,000. The final price has not been revealed, with some pundits predicting a starting price of about $55,000 - Hyundai says it will be lower than the luxury car tax threshold of $61,884. Either way, it's a lot of money for a company that made its name with $15,000 disposable cars in the 1980s. But Hyundai is a challenger brand that's scored a lot of hits in recent times. Few people realise that combining its two compacts as one car - the i30 hatchback and Elantra sedan are twins under the skin - would turn it into a genuine contender for No. 1 in Australia. Only a global naming policy - ignored in the US, where the i30 is called the Elantra GT - prevents the brand taking top spot in Australia. 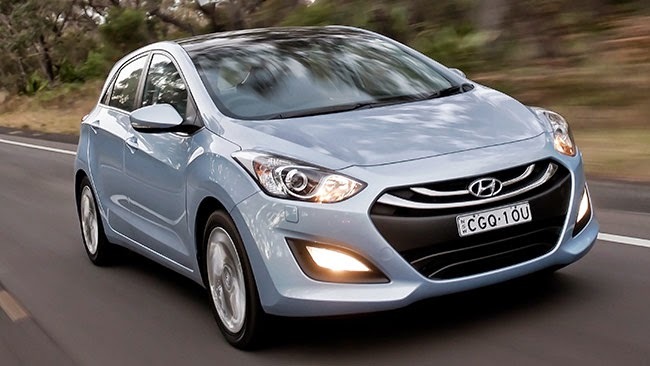 In August, combined sales of the i30 and Elantra tallied 3423, ahead of the Toyota Corolla on 3247 and Mazda3 on 3124. 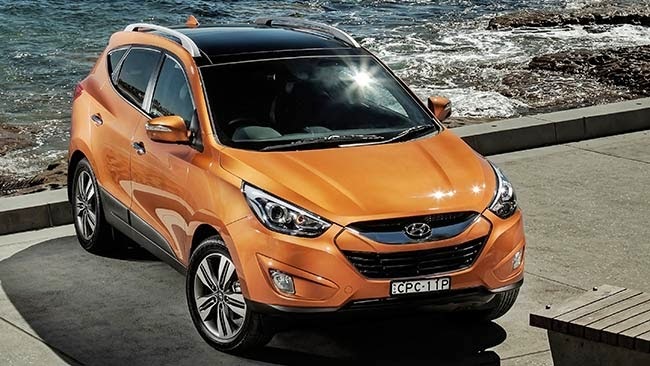 "One of the reasons Hyundai is so successful in Australia is that, unlike many markets, we access cars from both Hyundai product pools," Hyundai Australia marketing director Oliver Mann says. 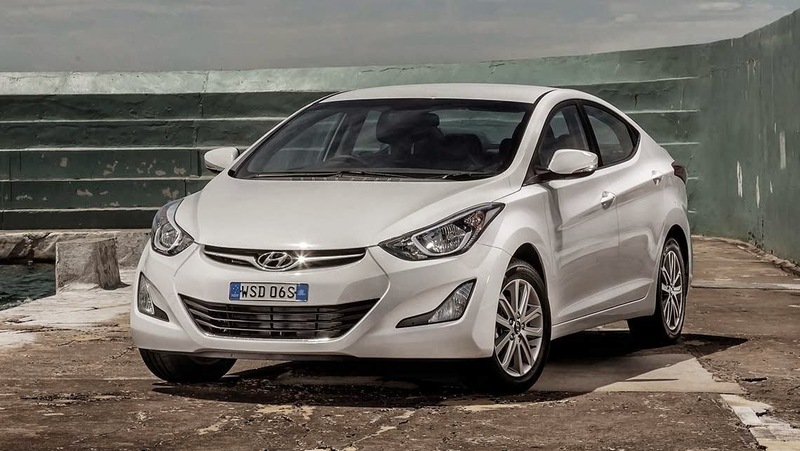 "Elantra, for example, isn't even sold in Europe. For Australian buyers it means more choice. From a marketing perspective it means we put more and more focus on the master brand, Hyundai, and what differentiates our cars." That's recently meant an increase in warranty coverage and considerable local input on suspension tuning and refinement that's made cars as diverse as the Elantra and Santa Fe into much better cars. The Santa Fe SUV flagship now tops $50,000. 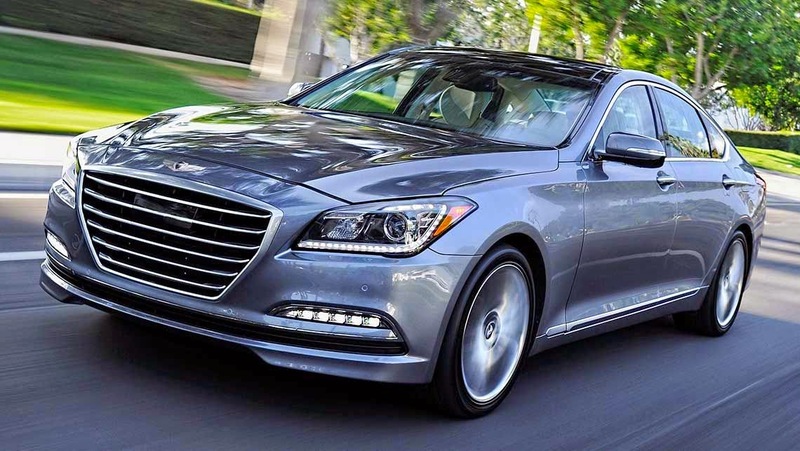 Hyundai executives believe the Genesis can fight a good fight against Audi, BMW, Lexus and Mercedes-Benz. "It seems to be a good signal that we can sell a luxury SUV beyond $50,000. A Santa Fe Highlander at $53,000 still represents fantastic value (among rivals)," says Hyundai Australia the chief executive John Elsworth. He avoids ambitious sales predictions, even though Hyundai is aiming eventually to become No. 2 in Australia behind Toyota. "We don't see ourselves outselling Toyota. But we're here and no one likes going backwards," Elsworth says. THE LOWDOWN: A tweak to the chassis of the Elantra has eliminated the wonky feel that marred its early days. It's now a little more elegant, too, but the cabin looks chintzy and Korean and that goes against it. THE LOWDOWN: The longer we get into the life of the i30, the better it seems. The latest SR has a genuinely sporty chassis tune but the basics are right, from the size of the body to the Euro-styled cabin layout. THE LOWDOWN: We're still waiting for final pricing and a drive on home ground, but everything looks good for the Genesis launch. The real question is whether Australians can accept a Hyundai badge when the benchmark is an E-Class Mercedes. iX35: Sales of compact SUVs continue to boom and that means the used-car scene is also becoming a hotbed for good-value family wagons. For Hyundai fans, that means the ix35. It's good buying, we almost never hear owners complaining and buying near-new means a second - perhaps even third - owner still gets the remainder of the warranty coverage and capped-price servicing. The Kia Sportage came out of the blocks harder than the ix35, partly because it looks better.But the Hyundai has firmed over time and it's now been joined by the larger Santa Fe with Carsguide's recommendation. Campaign details can be found on the website, HyundaiSmarter.com. 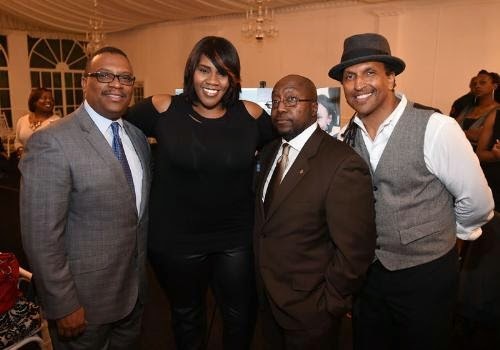 The website includes: a section to share and receive inspirational quotes, details about the 2015 Sonata, a social media conversation, and an enter-to-win daily prizes selfie contest for a grand prize trip to the 46th Annual NAACP Image Awards Show in Pasadena, CA. A central element of the campaign is a Smarter Living video series, which profiles the stories of 22 women, who are trendsetters and game changers in their chosen fields. They share their own stories and how making smart choices has allowed them to improve their health, happiness and well-being as well as of their families and communities. Hyundai, the international car company with its U.S. headquarters based in Southern California, has a long tradition of connecting its brand to issues of importance to its consumers. The Hyundai Smarter campaign will run from October 17th – November 21st. 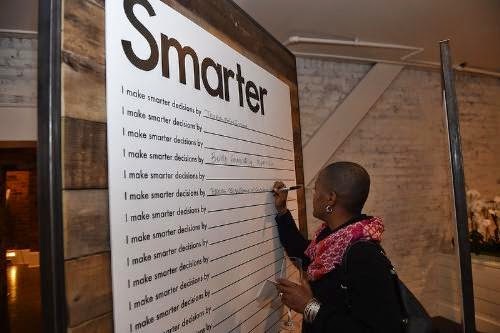 The advertising campaign developed by the creative agency of Fuse Advertising based in St. Louis, MO, includes a 60-second broadcast and radio ad, a 90-second internet only ad called "Time to Shake Up The World," an online web series, and a limited edition SmarterLiving brand book. Social media followers can join the conversation on Facebook or Twitter using hashtag #HyundaiSmarter.